Time to roll out the barrel and discover unique suds & ales! 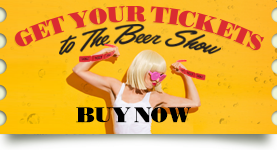 The Village of Baytowne Wharf at Sandestin presents the 12th Annual Baytowne Wharf Beer Fest on October 11 & 12, 2019. American specialty beers from around the nation will be available for participants to sample and savor. The main event on Saturday, October 12th will feature more than 200 domestic and international craft beers available for sampling. Brewery representatives will be available at the event, offering an opportunity to learn about the different types of lagers and ales from a variety of styles. Live music will be also featured during the festival.